AkzoNobel Essential Art Space with artworks by William Monk / Prudencio Irazabal / Anton Henning / Stephan Balkenhol / Rob Johannesma / Charles Freger / Claudy Jongstra / Susan Hiller / Michael Raedecker / Thomas Houseago. Photo: Erik & Petra Hesmerg. 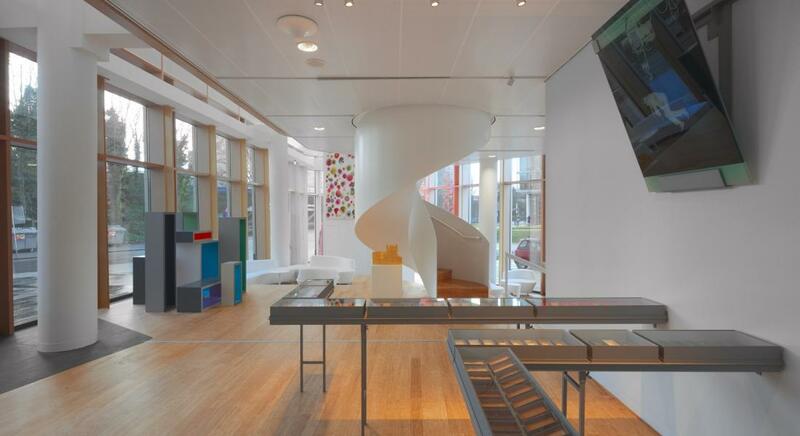 AkzoNobel Essential Art Space with artworks by Alan Uglow / Bernard Frize / Yutaka Sone / Imi Knoebel / Toon Verhoef. Photo: Erik & Petra Hesmerg. 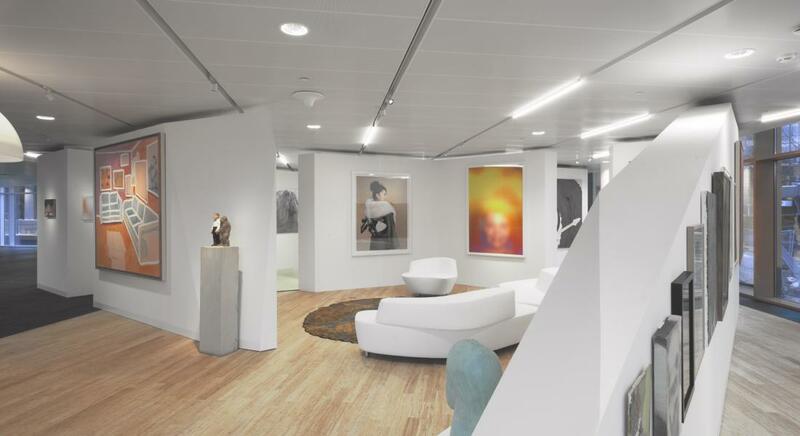 AkzoNobel Essential Art Space with artworks by Krijn de Koning / Seet van Hout / Maria Roosen / Pieter Laurens Mol. Photo: Erik & Petra Hesmerg. 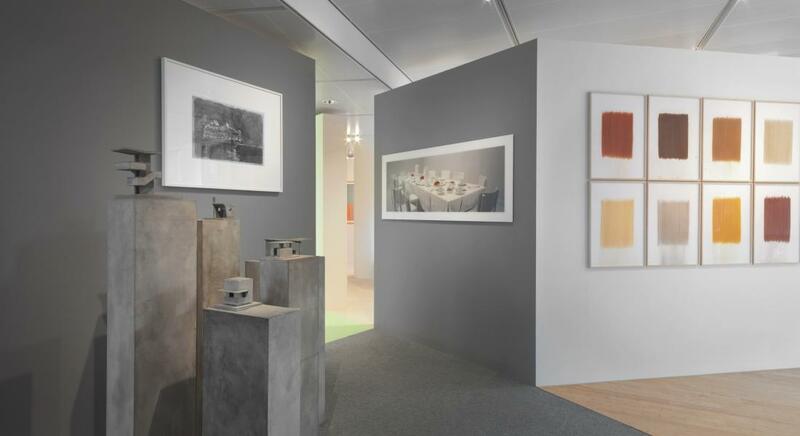 AkzoNobel Essential Art Space with artworks by Hans Op de Beeck / herman de vries. Photo: Erik & Petra Hesmerg. Office space in the AkzoNobel Center in Amsterdam, artwork by Katinka Lampe. Photo: Erik & Petra Hesmerg. 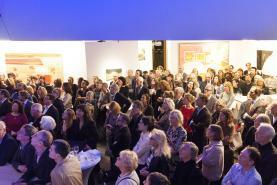 In 2016 The AkzoNobel Art Foundation opened the AkzoNobel Essential Art Space, a unique meeting place for art lovers, colleagues and customers. The Art Space is open to the public on weekdays, guided tours are available on request. Art is stimulation, innovation, communication and, above all, inspiration. These are the core values that the AkzoNobel Art Foundation believes in. They are values founded upon the autonomy of art and the values associated with AkzoNobel as a company. These values form the principles of our collection. 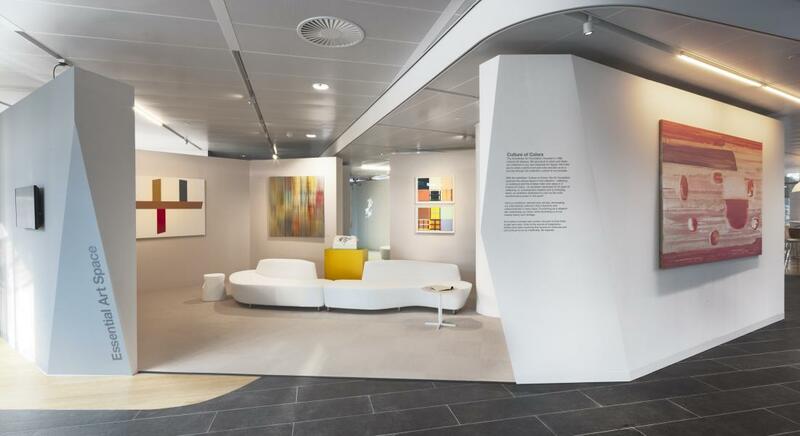 The AkzoNobel Art Foundation collects thematic, international, contemporary art – art that reflects AkzoNobel’s worldwide operations – both by young talent and established artists. The key criterion for acquiring a work for our collection is its intrinsic qualities. Other major factors at play in the decision to acquire are the work’s capacity to communicate: communication between the art and business worlds, between art and society, and between the collection and the international art world. To make our collection more accessible and structured, the AkzoNobel Art Foundation uses themes, such as Color and Research, The Individual and Society, and Space. These themes are linked to each other by way of sub-themes, while they also overlap. This means the works of art have a connectedness with each other and with their environment, resulting in a collection that is more than the sum of its parts. AkzoNobel has a long history of mergers and divestments, milestones are the formation of AKZO in 1969, the merger with Nobel Industries in 1994 forming Akzo Nobel, and the merger with ICI in 2007-2008 resulting in current day AkzoNobel. AkzoNobel creates everyday essentials to make people's lives more liveable and inspiring. As a leading global paints and coatings company and a major producer of specialty chemicals, AkzoNobel supplies essential ingredients, essential protection and essential color to industries and consumers worldwide. Backed by a pioneering heritage, AkzoNobel’s innovative products and sustainable technologies are designed to meet the growing demands of our fast-changing planet, while making life easier. Headquartered in Amsterdam, the Netherlands, AkzoNobel employs approximately 46000 people in around 80 countries, while the AkzoNobel portfolio includes well-known brands such as Dulux, Sikkens, International, Interpon and Eka. Consistently ranked as a leader in sustainability, AkzoNobel is dedicated to energizing cities and communities while creating a protected, colorful world where life is improved by what we do.